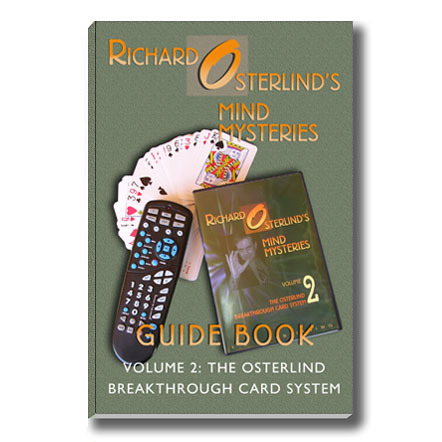 As featured on Richard Osterlind’s best-selling 13 Steps to Mentalism DVD series! 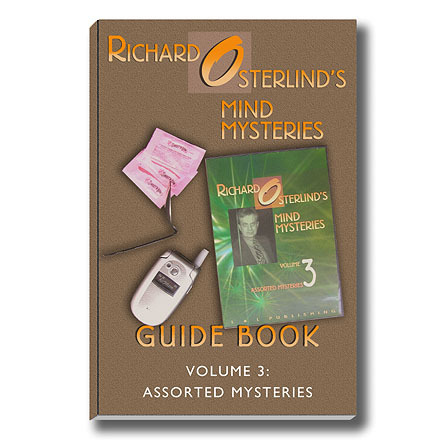 Osterlind Mysteries is proud to offer a wonderful new/old prop that you will use in numerous ways—The Osterlind Versatile Blindfold. Simplicity itself, this apparatus will add as much to your show as a swami gimmick! You will not be getting a single effect, but an entire realm of effects. 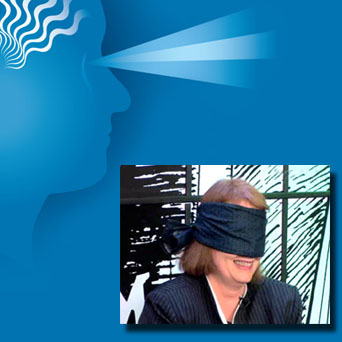 The cloth blindfold is handmade by Sandy Sisti in a beautiful blue and black material that doesn’t cry out “magician’s prop.” It looks ordinary and classy and will last a lifetime. Although it is large enough to be seen anywhere, you can fold it up and put it into your pocket. 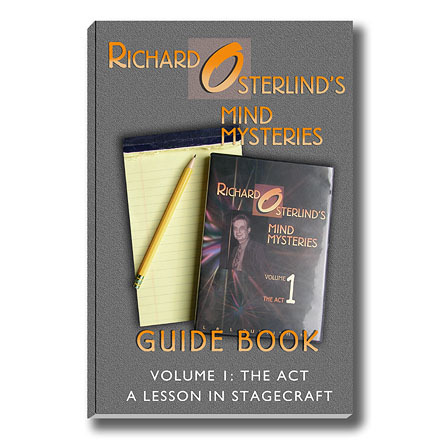 You can use it on stage, for close-up and even for a featured publicity stunt. It can’t go wrong and will never let you down. You can use it as is or add additional layers of deception with articles readily available anywhere you go. 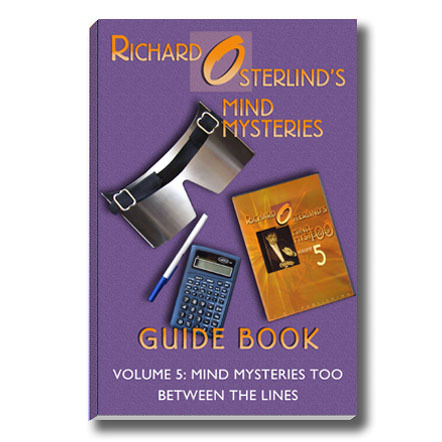 The instruction book that accompanies it gives 4 different uses for the blindfold including using it for a legitimate blindfold (with practical applications), for the down-the-nose peek, for straight-ahead vision and even for the blindfold drive! These notes are pure “meat” allowing you to tailor the device for your own needs. 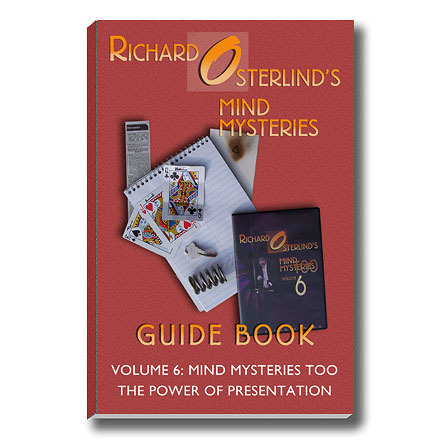 Those who know mentalism and perform it regularly will understand what an important device this is. We have given considerable thought to make it perfect in construction and size. This is something you will actually use – and use often! 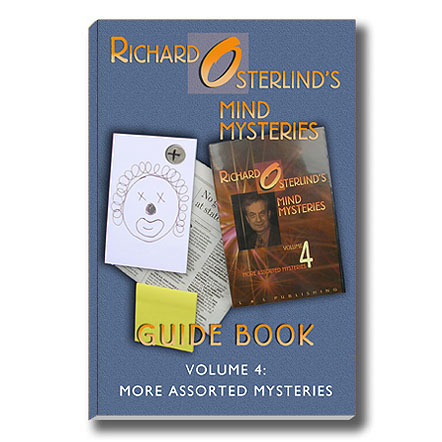 Please note that this item is hand-made by Osterlind Mysteries seamstress Sandra Sisti. Please allow extra time for delivery.